Today is 11/11 repdigit day. It’s a bean sprouts day, MIKADO day and spotted garden eel day. Today’s guests are multinational team from Ehime, Saitama, France and London. 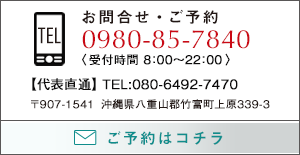 Two guests from europe will come Japan with working holiday next year. I want to see them next year. 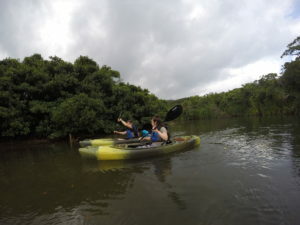 Japanese guest went on kayak and water buffalo tour. They could do kayak easily first time. 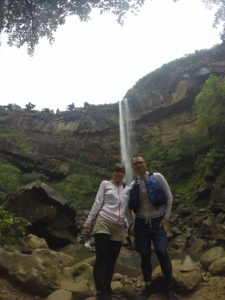 We had Yaeyaman noodle for lunch around waterfall. By the way, It’s noodle day today. 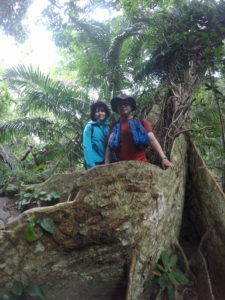 In the afternoon, They went to Yubu island by waterbuffalo while listening Okinawan music. It is sunny day, so it seems a autumn sky had flown off someplace.